The final shipment of gates has arrived to the Panama Canal today for the new locks as part of the canal’s expansion project. 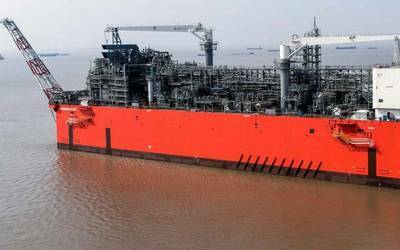 The four gates arrived on board the Post-Panamax vessel Xia Zhi Yuan 6 owned by COSCO Ocean Shipping, after a 25-day voyage from the Port of Trieste in Italy. 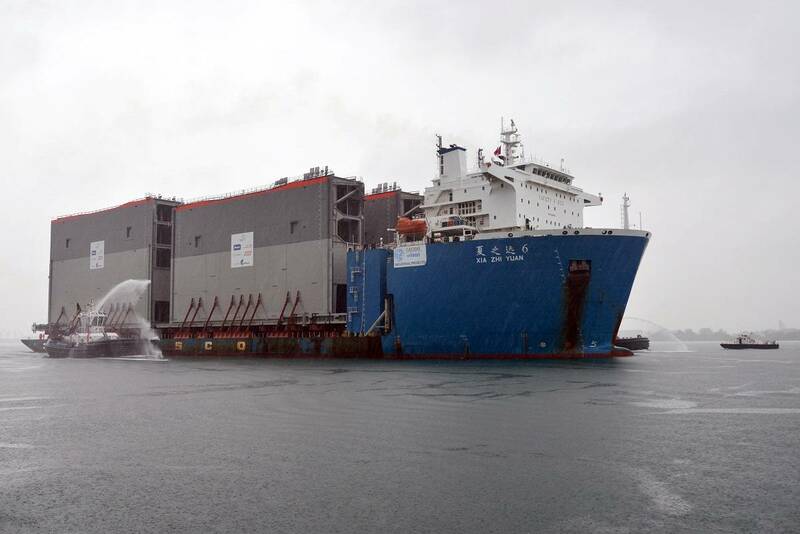 The four gates arrived to the temporary dock located in the Atlantic side. The final shipment included two gates to be used in the Atlantic and two in the Pacific. The two gates to be installed in the Pacific locks are the tallest of all 16, standing 33 meters in height and weighing 4,232 tons. These gates will be used in lock head four facing the Pacific Ocean. The two gates to be installed in the Atlantic locks are 10 meters wide, 29 meters in height and weigh 3,319 tons. All gates have the same length of 57.6 meters but vary in height, width and weight depending on their location in the locks. The height of the tallest gate can be compared to an 11-story building. The construction of the gates began in October 2011 by subcontractor Cimolai SpA in Italy. The new locks will have a total of 16 rolling gates (eight for each new lock complex). The gates belonging to the Pacific have been transiting one by one through the current waterway on board a barge assisted by two Panama Canal tugboats. Currently, four of the eight gates have already been transferred to the construction site in the Pacific. 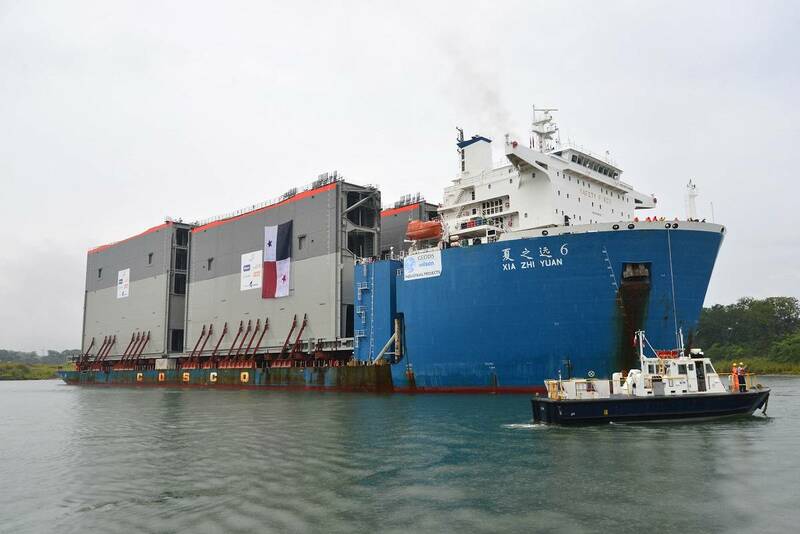 The gates were delivered to Panama in staggered shipments of four at a time. The first gate shipment arrived on August 20, 2013. The second and third shipment arrived on June 10, 2014 and September 7, 2014. The Panama Canal Expansion consists on the construction of a third lane of traffic allowing the passage of bigger vessels, which will double the Canal's capacity and have an important impact on world maritime trade.